PETA certainly isn't the only one - many organizations and activists use Twitter to galvanize support or provide on-the-ground updates. One notable example is Ric O'Barry's Dolphin Project, which tweets updates from the dolphin hunt in Taiji, Japan every year. They report exactly when hunting boats leave the cove, and when and if they return with dolphins (so far this season, they have not herded any dolphins into the cove). Individuals, too, have been relying on Twitter to boost support for their causes - check out our list of conservationists to follow on Twitter here. While activist at a circus can expose animal cruelty with one click on a smartphone, the internet community responds many times over. 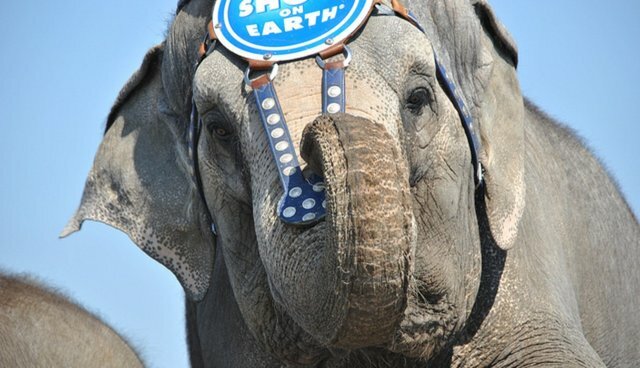 The hashtag #BoycottTheCircus has thousands of mentions now, and hundreds more after last night.